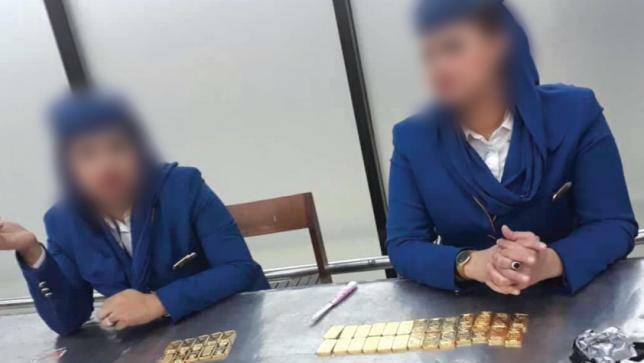 Customs officials detained two female crews of Saudi Arabian Airlines along with 36 gold bars from Hazrat Shahjalal International Airport early Monday. The two female crews are Saima Akhter and Farzana Afrose. The Saudi Airlines flight SV-802 reached at the airport at 2am. With the help of Armed Police Battalion (APBn), the Customs team recovered 26 gold bars from Saima and ten from Farzana hidden inside their undergarments.